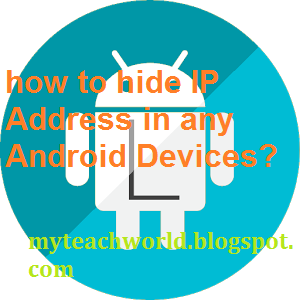 Home» Android » How to hide IP address in any Android Device? Hello, Dear readers ,You are wellcome in this blog . My today's topic is How to hide IP Address in any Android Devices. 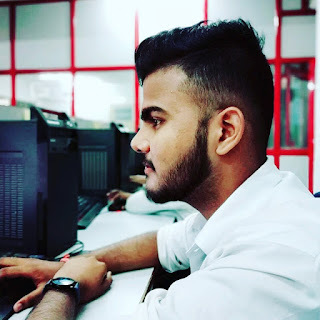 You can hide your IP Address in Android Device for downloading android apps , while using Internet by default Internet Browser Operamini, Firefox, Google Chorme etc. it is very usefull trick for anonymous . It is very easy method to hide IP Address. Friends Why we need to hide IP Address? Dear readers some time some website not open some country, because some Government website are blocked your country. so some people hide IP Address and open any block website in your country. but some people try to illegal activity ,after hide our IP . but some websites trace there real IP Address. NOTE:- You Don't use this trick for illegal works . this trick use for only educational purpose only. So lets start now, you need a VPN application to hide your IP Address . so there are many VPN appliction. OpenVPN :-This is best android VPN app. Open VPN is the official android client. this is very easy to use and fast browsing and surfing speed. this worked both rooted and non rooted android device. VPN One Click:- This app is also good VPN app . you can access easily. you can select any country that you want in this VPN application. this app worked both rooted and non rooted Android device. Hotspot Shield VPN :- Hotspot Shield is the best free android VPN app . this app is best option to protect your privacy . it is top running in the world. because it is good speed. you can access easily. so you want fast speed browsing with hide your IP Address in android device. I suggest you , use this app. Now here is the end of the article. I hope that you like it. so please share to with friends . if you faced any problem please comment me. thank you for reading my post.